Sometimes I feel so humbled by the untainted love God has for me. Gosh, I mess up so often, and yet He loves me with a love that is so perfect and never ending. His love covers me like the morning dew, so soft, clean, pure and refreshing…. My husband is the biggest blessing God has blessed me with. Which in turn makes me fall in love with my Savior all that much more. When The Lord was creating Kent, He had me in mind. 4.) he has the ability to make me whisper, “I love you Kent” when he’s not even around. Kent and I have been married for 10 years. Yes, as with all marriages there have been a lot of up’s and down’s, but keeping God in the center of our marriage and giving Him the broken pieces to mend and place back together, has only made our marriage stronger. We have been blessed, because of perseverance. Hold steadfast in whatever difficult situation you might have, you will be blessed! My prayer is that Kent and I won’t have too many difficult situations, but that we will never grow numb to the importance of our marriage staying strong in the foundation of God always being 1st in everything. Kent loves chocolate. I’m convinced he loves chocolate because I don’t make it that often. Find out why HERE. 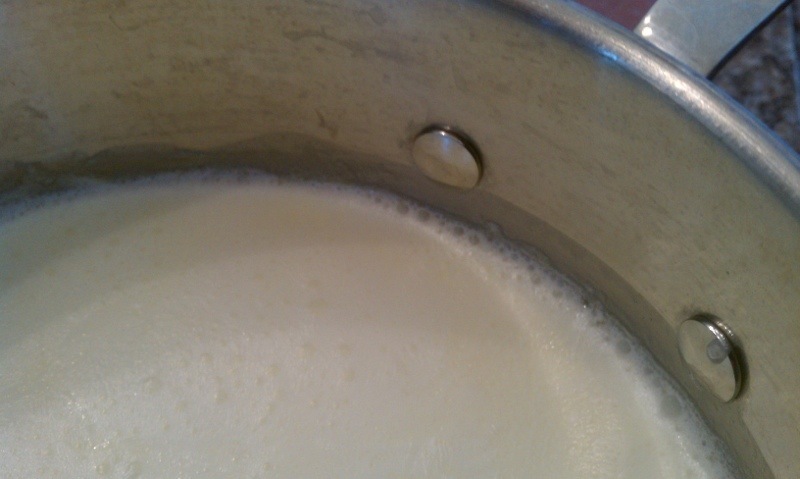 Remove the cream from the heat as soon as it starts to get small simmering bubbles around the saucepans’ edges. 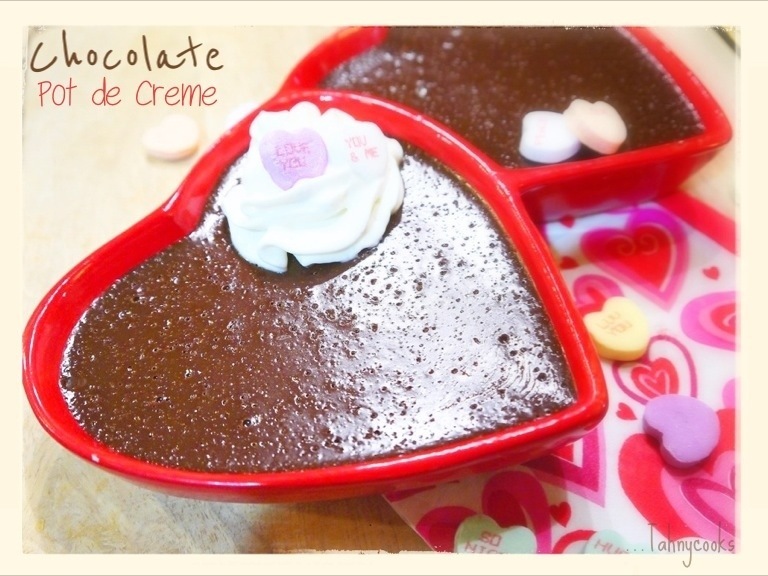 Pour the hot cream over the chopped chocolate. Mix well, add the egg yolk mixture. 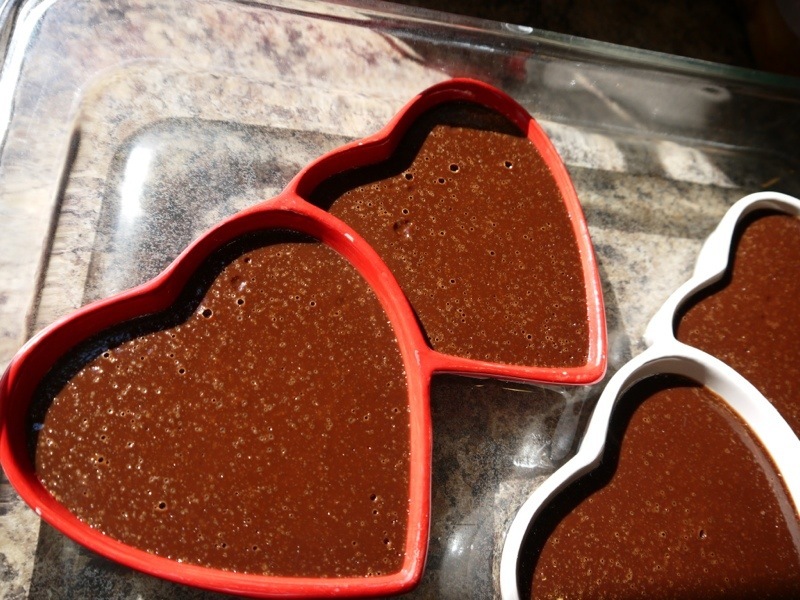 Pour the chocolate custard into the ramekins. Using the bain marie (ban mah-REE) is the term for a hot water bath. This method creates an even and gentle way of baking for the custard. These turned out perfect! This custard is soooo nice and thick, it reminds me of fudge. Kent loved it….oxox. Position rack in the middle of the oven and preheat to 325°F. Arrange six 3/4-cup ramekins in a roasting or 9×13-inch pan. 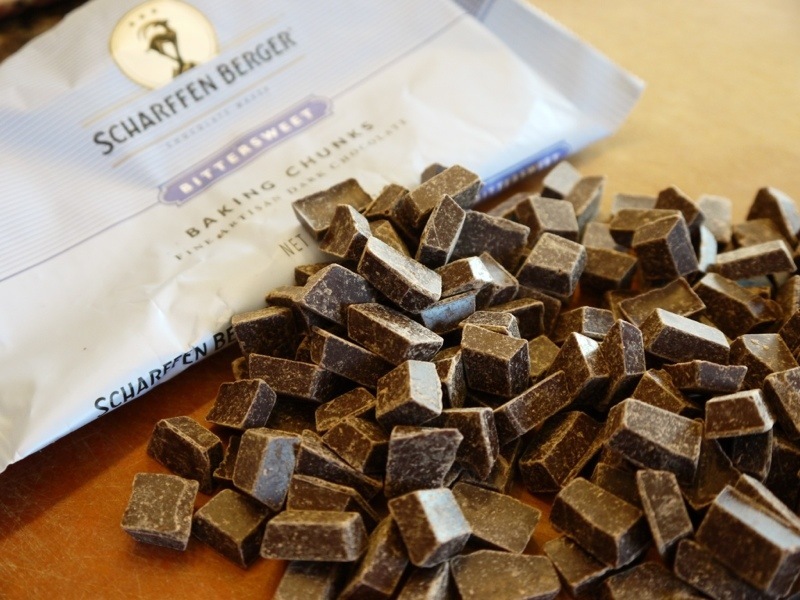 Place the chopped chocolate in a medium sized bowl; set aside. 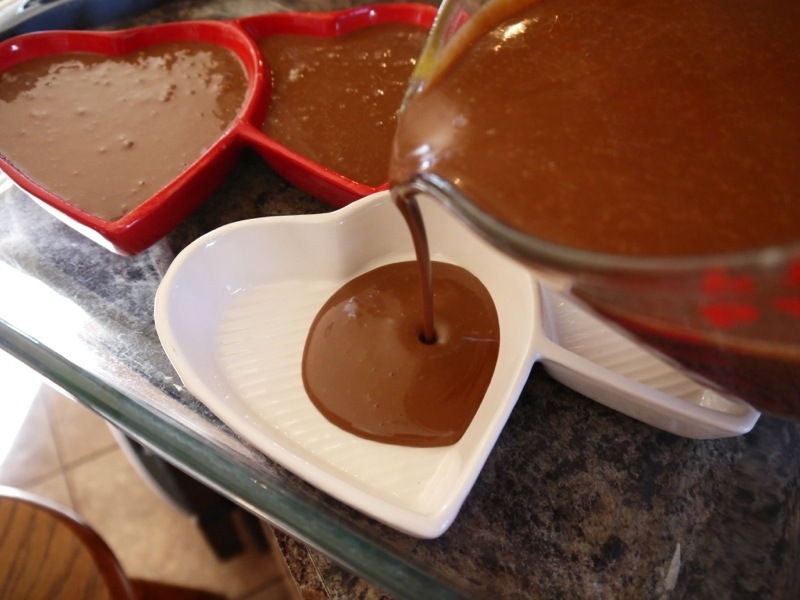 In a medium saucepan, heat the cream over medium heat until it’s steaming; remove from the heat and pour over the chocolate. Let sit for a few minutes, then whisk until smooth. 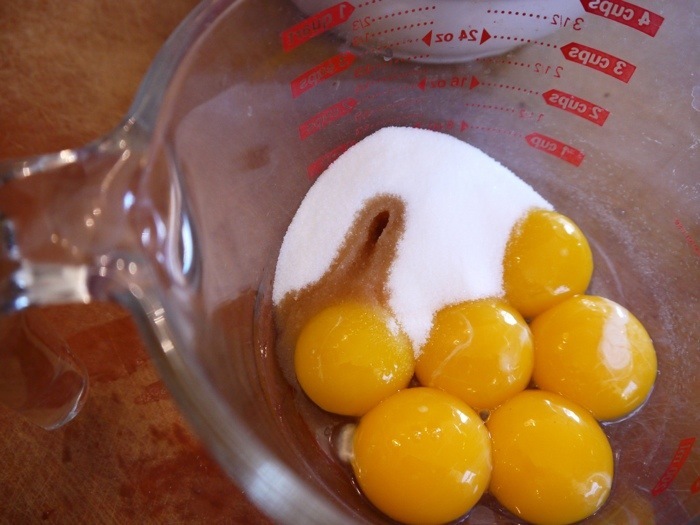 Whisk together the egg yolks, sugar and vanilla. 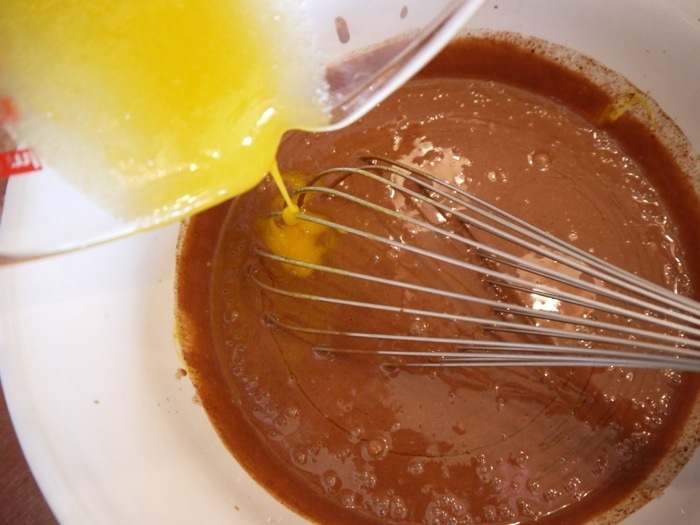 When the chocolate mixture has cooled a bit, whisk in the egg yolk mixture. Divide the custard between the cups, and pour warm water into the pan to come halfway up the sides of the cups. Bake for 25-30 minutes, until the custards are set. Cool, then refrigerate until well chilled. Garnish with berries and/or sweetened whipped cream. Enjoy! I love you too. Happy Valentines Day! Looks yummy. I think I’ll make it tonight for my sweetie. I can’t imagine a marriage without God and do believe that without a power bigger and wiser than us, my husband and I would be lost. 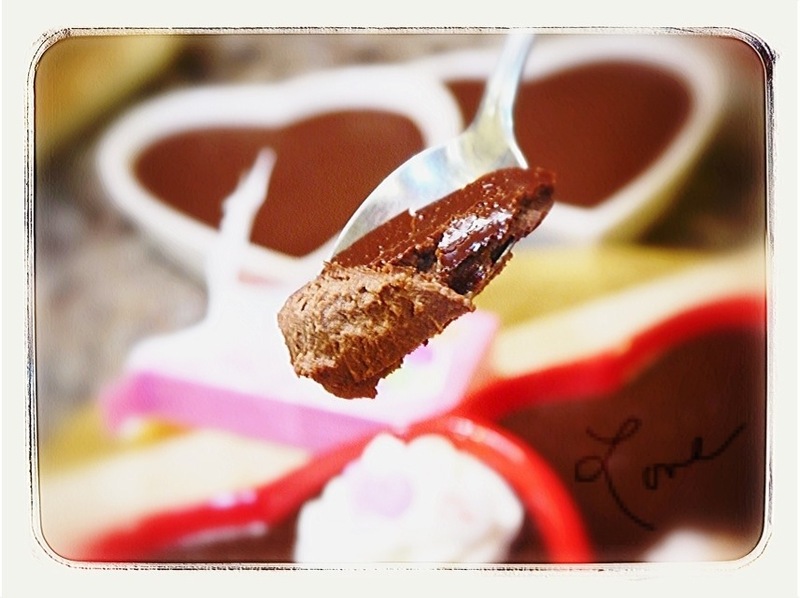 Thanks for sharing, now go make this dessert!